200 year old restored window. 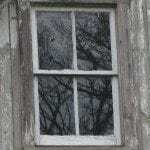 Learn how to repair old wood windows to look like this. 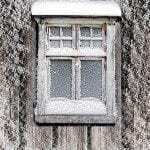 Not sure how to repair old wood windows? After years of paint build up and lack of maintenance they probably need to be restored. This is something you can do yourself after watching this detailed video. Old wood windows belong on your house not in the landfill! Don’t be that homeowner that future generations will unkindly look down on. 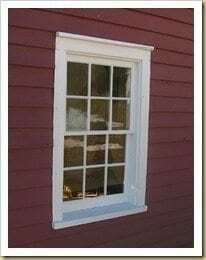 Old wood windows were designed to be easily repaired. Just like a toy, old windows can be taken apart, repaired, and put back together again by the homeowner. 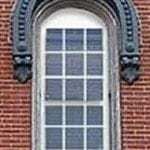 A restored and maintained window will last an additional 200 years! Replacement window manufacturers invest lots of money in training their sales force to convince you that you have no choice but to replace your windows. Do not fall for this if you care about the environment or the appearance of your house. The Truth about Replacement Windows. You must understand that old wood windows combined with a storm window are more energy efficient than new replacement windows that are all disposable. You will never get your replacement window investment back in fuel savings. Your house will never look the same. This information is explained in detail with studies to back it up. Read the Truth About Windows and learn! 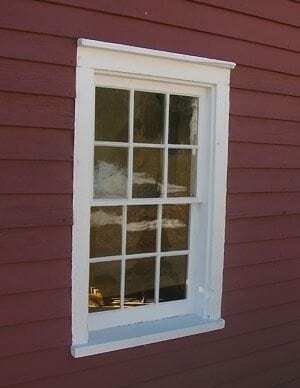 How to Repair Old Wood Windows. 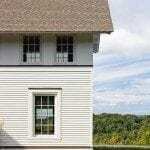 In an effort to teach the homeowner how they can easily restore their old wood windows, Michigan State Historic Preservation Office received a grant to fund a five part video series – “Simple Steps to Working Windows”. Here you will learn a valuable skill taught by the best in the business. Licensed contractors specializing in historic window repair, hold a hands on workshop and teach homeowners how to repair and restore their old wood windows. They also show how to bring these old windows up to modern efficiency. Be environmentally responsible. Get your old windows working again and they will outlast you. Watch DIY Videos on How to Repair Old Wood Windows here. Not a do-it-yourselfer? Not interested in how to repair old wood windows yourself? Check our listing of window restorers in your area. Use sandpaper, a small electric sander or even a putty knife to scrape the original paint off of the exterior frame.